Thanks for stopping by. 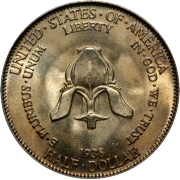 You'll find all the necessary information on our website to place an order for our numismatic imaging services. Jump right in, or read a little about us and our business below. We have been shooting professionally since 2008 and have numerous large dealers among our regular customers. Our studio is fully equipped to handle any job, from a few coins to a few hundred. We use the very latest equipment, including a state-of-the-art digital SLR (24MP CMOS sensor), macro lenses as long as 200mm, and a wide variety of lighting to accommodate the different types of coins and coin finishes. 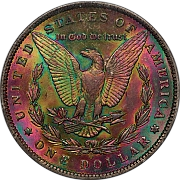 A proper copy stand and supplemental equipment are used in order to deliver crisp, full color images that correctly represent the subject coins. Original images are very large, often more than 3000x3000 pixels. They are reduced in size according to customer wants, and cropped and placed on backgrounds as requested. The finished product is delivered either on a flashdrive or posted to a cloud server for viewing and retrieval. Turn around time is typically 48 hours. Very large jobs may require more time. We have included here a small gallery of photos that represents our work. 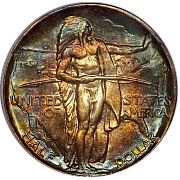 We have thousands more posted to our photo sharing website and would be happy to direct you. Email or call us if interested. We are so confident you will love our work that we offer an unconditional money back guarantee. We have never had to invoke it but be assured we are fully prepared to exceed your expectations. Thank you for checking in with us. Please contact us if you have any questions.